For even more exciting Dubai trip, make sure you visit all of these 3 amazing places in the city. The world’s tallest building, Burj Khalifa, is undoubtedly the place that you shouldn't leave the city without seeing it. Actually not seeing this record breaker building is a bit impossible while you are in Dubai because it’s exactly 829.8 meters (2722 feet) tall. Going up the building is not that difficult because it also has the fastest lift in the world. If you have acrophobia, this lift may blow your mind but if you trust yourself to manage it, try to make it because the scenery both from the lift and from the top of the building is breath-taking and is like no other. In Burj Khalifa, there are an outdoor observation deck, a souvenir boutique, a restaurant, a café, residences, fitness and recreation club and suites. If you like to witness the magnificence with your own eyes, never confine yourself to view it from outside. For more information about this iconic building, and buying entrance tickets online, you can visit the official website of Burj Khalifa. Jumeirah Beach Residence or JBR can be defined as city in city because the area of Dubai Marina –where JBR is also located- is full of skyscrapers, cafes, bars, stores, restaurants or hotels. JBR is composed of 40 towers (which are used as residences and hotels). The most popular part of JBR is The Walk. It is a 1.7-kilometer strip at the ground level of the complex and includes a wide range of many reputable department stores, gyms, cafes, stores and restaurants which means The Walk is always swarming day and night. If you need more attraction, you can take the Dubai ferry that leaves behind Address Hotel and it takes you into the sea along the manmade Palm Island. 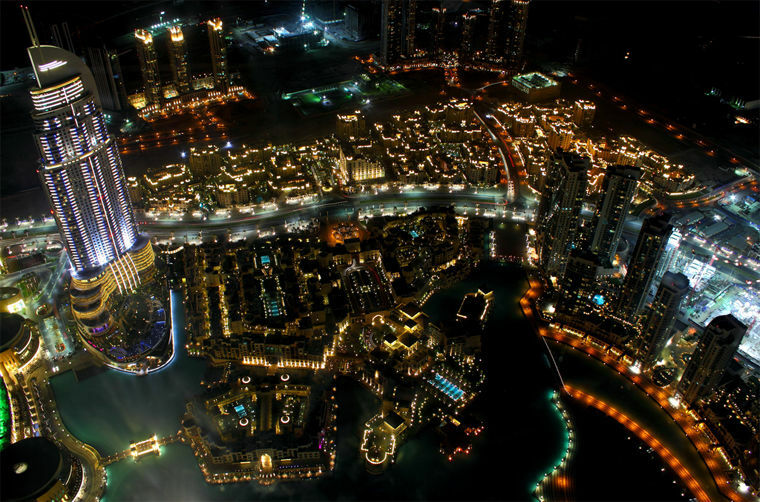 After that it takes to Dubai Creek where you can enjoy a completely different face of Dubai. Undoubtedly the most popular and the most iconic building of Dubai is Burj Al Arab. Although many more magnificent and luxurious building has been built after it, Burj Al Arab still keep its worldwide reputation. Known as the only 7-stars hotel in the world, Burj Al Arab is distinctive with its sail of a ship design. It has 70 storeys and its height is 321 meters. It’s standing on an artificial island that is connected to the mainland by a bridge. To be in it, you don’t have to stay there. There are touristic tours that you can join or you can just prefer to dine in Al Mahara Restaurant for example watching the fishes in the aquarium in the walls of the restaurants. The other most popular part of Burj Al Arab is the helipad that is located on top of the building, 210 meters above from the ground. To attract international attention, this helipad hosted many amazing events like Andre Agassi and Roger Federer’s playing tennis or David Coulthard’s performing donuts in a Formula 1 race car. Visiting Burj Al Arab will give you a once-in-a-lifetime experience so try not to miss the chance to breathe in there.